Given that I don’t follow celebrities that much, I don’t really have a reference point for Olivia Palermo. 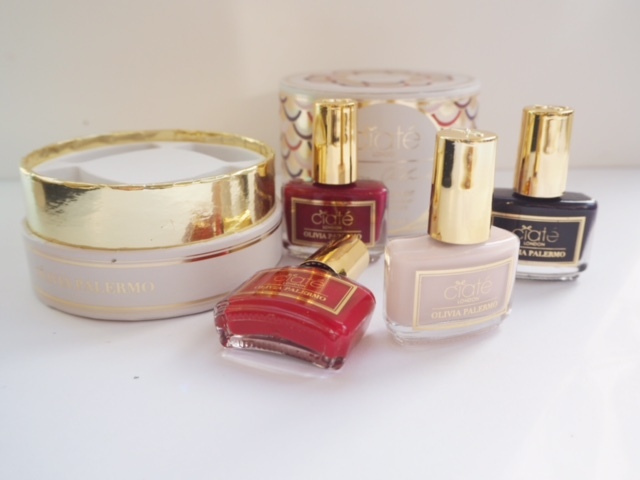 However, the newest items from her range with Ciate are actually rather lovely. 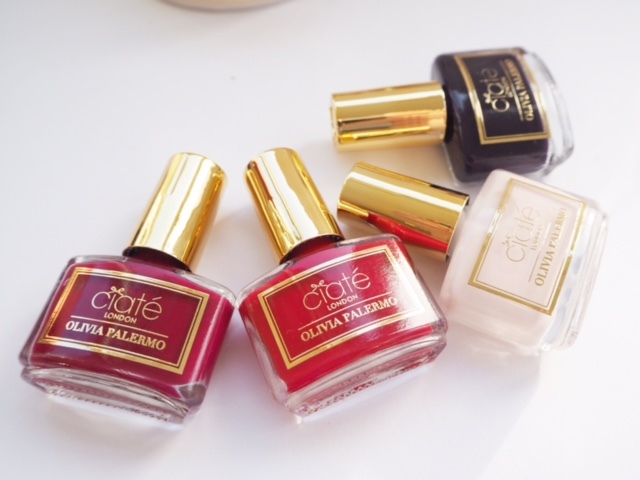 Especially The Fashion Edit above, for nails, with small size polishes in a deep purple, hot red, pale pink creme and a wine-tinted red, all nestling together in a patterned pot. I think it’s really pretty. 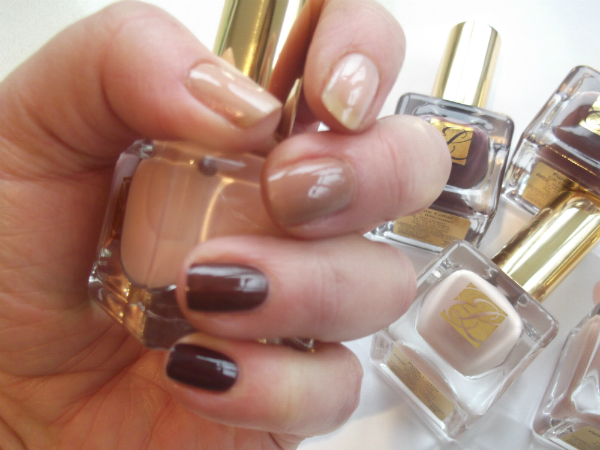 I’m actually quite a fan of smaller size polishes – they feel more manageable and less wasteful somehow. It’s £25 HERE. 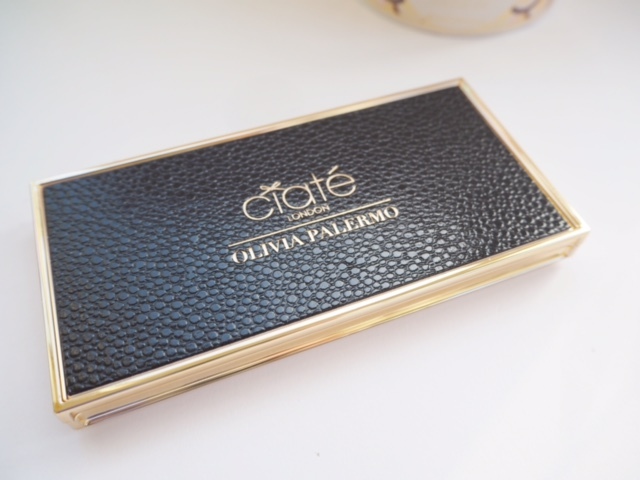 The biggest surprise though is the Olivia Palermo Ciate Beauty palette in Smouldering Eyes. 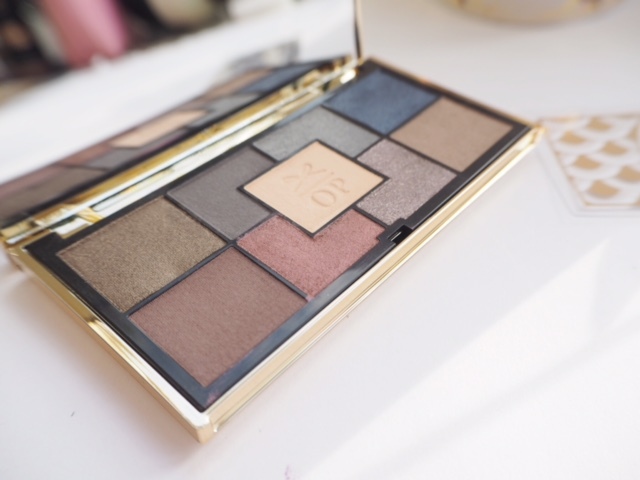 It has beautifully soft – and yes, suedey – textures in a mix of matte and shimmer that have very good pay off. It has a wise colour edit for the winter season, with 9 shades running through from a shimmering khaki to both matte and sparkling blues and browns. I think it’s a versatile colour collection. 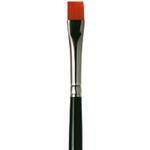 The textures are very soft and pigment is high and smooth on the lid. 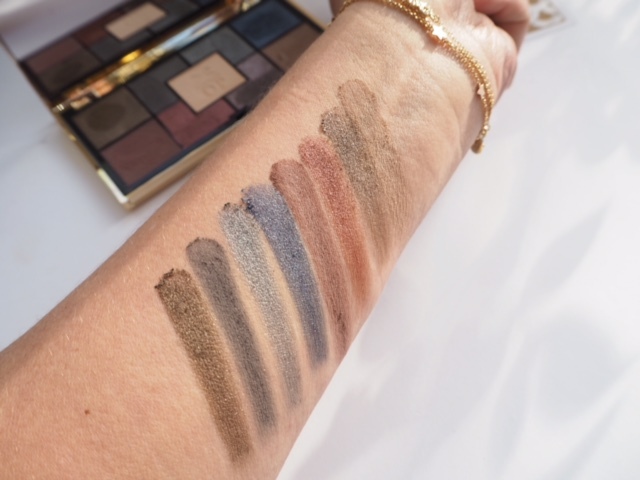 It’s £35, which I feel is quite pricy, but in the unlikely event that you don’t have a palette that covers off these shades, you could do a lot worse than starting here. I’m really impressed with the quality. You can find it HERE. 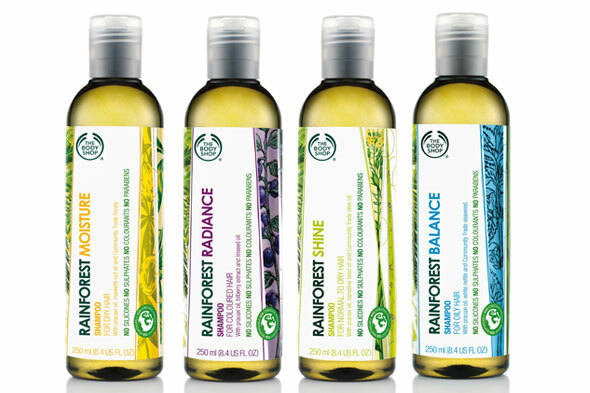 These items look amazing! I think Olivia’s style is spot on! 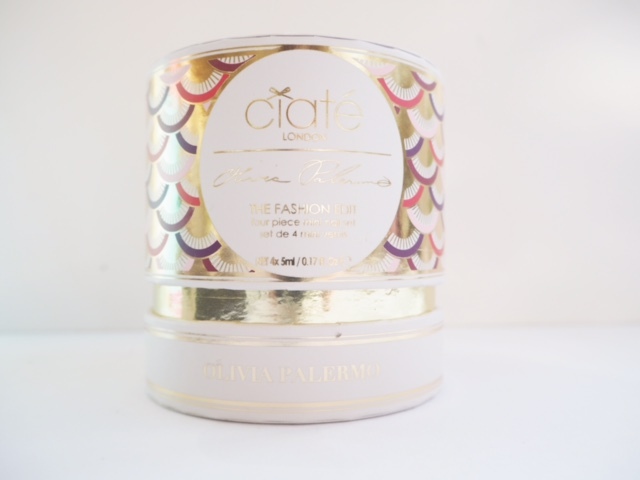 Olivia Palermo is an American girl from a very wealthy family, whose main claim to fame involves appearing on an MTV “reality” show several years ago. Yes, I’m embarrassed to know this. I blame my stepdaughter. That said, she’s really beautiful and I do find that she has exquisite taste. Wish I knew why we have to have so many brown eyeshadows. My pale skin and brown are not friends and I don’t (can’t) even wear brown. And so many. Hasn’t everyone got hundreds of them now?! !